One of the most important facets of long range community planning is funding reserves. Reserves are the monies collected for long term capital projects within the community. Reserves can be difficult to project because there is a fair amount of uncertainty in projecting how long something will last and how much it will cost. One way to add confidence to the projections is to get a professional reserve study done. Essentially, a reserve study is a long term plan for all community members to pay their fair share. Funding reserves over a period of years is much more equitable than issuing large special assessments from time to time. Reserve studies show the annual funding needed to properly fund the replacement of common elements of the community and make up a portion of the community’s budget. 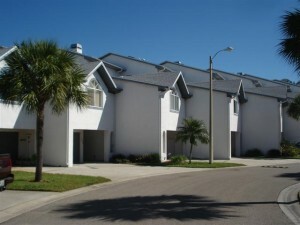 By planning the proper long-term upkeep, they also help to maintain a pleasing appearance for the community. Reserve studies quantify all reserve items in the community. This is something that members of the community may have a hard time figuring out on their own. Rather than board members roughly estimating the quantities and costs of items, a reserve analyst can properly calculate and project costs for the amount of roofing and painting on buildings and paving in the community as well as many other reserve items. These items are estimated by a field inspection from the reserve analyst. The analyst also may use tools such as recorded plats and/or aerial photographs to estimate a reserve item’s dimensions. A good reserve study will also help the association evaluate their current status with respect to reserves. An association may be underfunding reserves and be on their way to a special assessment. A reserve study will help to uncover this. Reserves always project forward and a proper report will show future funding schedules to get the community back on track and being properly funded. Reserve studies affect the buying and selling of properties as well. If a reserve study has been performed, it can be shown to a potential buyer. If the reserve accounts are being adequately funded, then the property will be easier to sell knowing that no special assessment is imminent. Conversely, the opposite is true. In communities that have not funded reserves properly, unit owners may have a harder time selling their unit because a savvy potential buyer may be able to figure out that a large special assessment is around the corner. When reserves are properly funded, they help maintain property values. Overall, a reserve study has many benefits. Most importantly, it minimizes the guesswork from the board and provides realistic costs to help allow the community to properly plan for major future expenditures while trying to minimize or avoid special assessments.